How has your new year been going so far? Mine has been hectic and filled with some days that just seem to be the same and sort of pass in a blur. I know that may sound vague and you may wonder what exactly I have been up to here in the baking and cooking HQ’s. 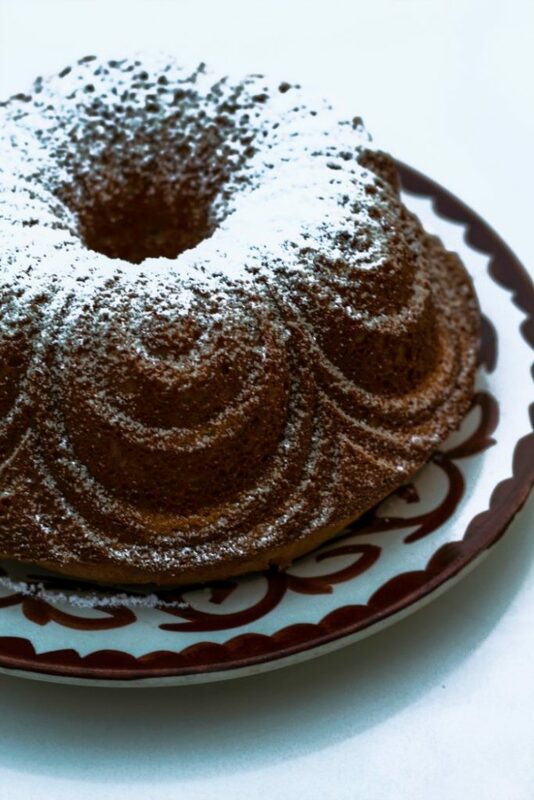 There has been some experimenting with new recipes and there has been some not so new, like baking a reliable and delectable olive oil cake (or as they say in Italian: Ciambella all’Olio d’Oliva) such as this one. Now what would make it seem like a blur? Probably because we took a trip for the first time in a long time for the holidays and it threw my whole schedule out of the loop. The usual routine of buying my Christmas gifts right at the last days and minutes could not happen. I actually had to plan and I had to even have things shipped to our destination, which was my cousin’s house in Ohio. My mind was racing every day with mental lists of what to get my kids and their kids. There were presents from Santa going to two different places and stocking hung in two houses that needed to be filled. It all was exciting and fun, but buying online is not something I normally do. Do you ever buy online during the holidays? Some things that I found on QVC delivered and arrived just as promised. One very important gift for my daughter arrived literally at the last possible moment it could arrive, and as it was promised, to give to her before we left. Let’s just say that gift was a hit and it was very satisfying to get her what she was wanting for so long. Then there were some boxes that I had waiting here for us when we returned to give to my God daughter and her sister and one of those boxes was missing an item. That item finally did just arrive last week! Same with one toy that was for my son and it ended up arriving at my cousin’s house a week after we left. So for shopping online during the holidays…I learned that you can get things on time, but there will be times when they may forget to pack something or that they run out of that one item you really wanted and you will get it the week after Christmas. So have a backup plan!! Upon our return, we all were a little sick and it most likely was from going from temps in the 20’s and 30’s to temps in the 80’s. Yes, we did have the hottest month of December I think ever! It was bizarre to be walking around in flip-flops and shorts again after being so bundled up. My little guy got sick, and I mean sick! We were back and forth to the doctor’s and many days of school were missed and each day sort of seemed like the one before and there was no way I was doing much of any thing else except experiment with a recipe here and there or make total comfort soup, like my favorite chicken soup and this lovely bean soup. I came across quite a few books I really wanted (and I know, I totally did not need) to add to my collection. One of the books I contemplated adding to my cookbook list was Rachel Ray’s new Italian book. I was lucky enough to get a sampling of her recipes in the Rachel Ray December magazine that my mom shared with me. There was a lovely olive cake that is very similar to some others I have made before. 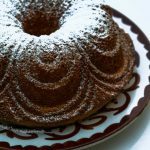 I have shared a couple of olive oil cakes, like this citrus olive oil cake (a huge favorite in our house!). Another olive oil cake favorite is this wonderful cake with hints of rosemary. I dabbled in baking with cornmeal in this lovely cake and this one. This cake is really easy to put together and Rachel Ray serves it with pastry cream on the side. The only thing I did change up was the amount of olive oil. I did half extra virgin and 1/2 vegetable oil. My kids don’t go too crazy for the olive oil flavor. I also added a cup of chunky homemade apple sauce I had here instead of the pear that Rachel has in her recipe. You could whip this cake up in no time and it’s totally no-fuss. 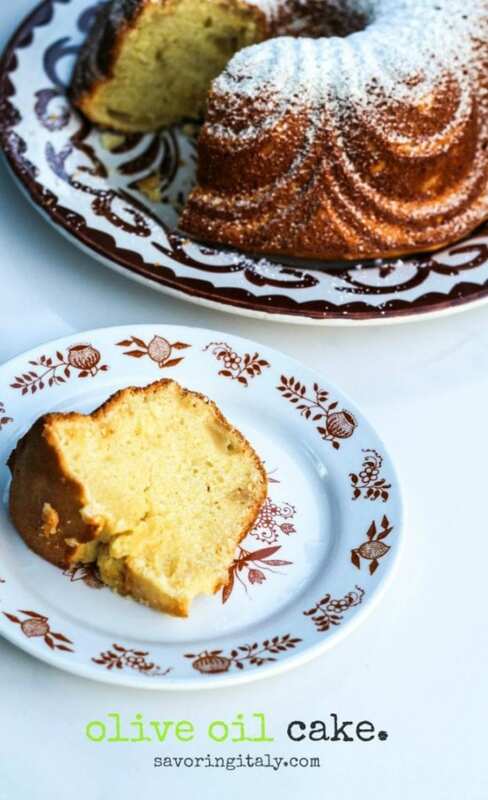 Make it in a super pretty bundt cake pan and give it a pretty dusting of powdered sugar. Look at you being all fancy! Happy January to you! I hope your year is starting off in a delicious way! A moist cake made with olive oil and flavored with Limoncello and lemon zest. 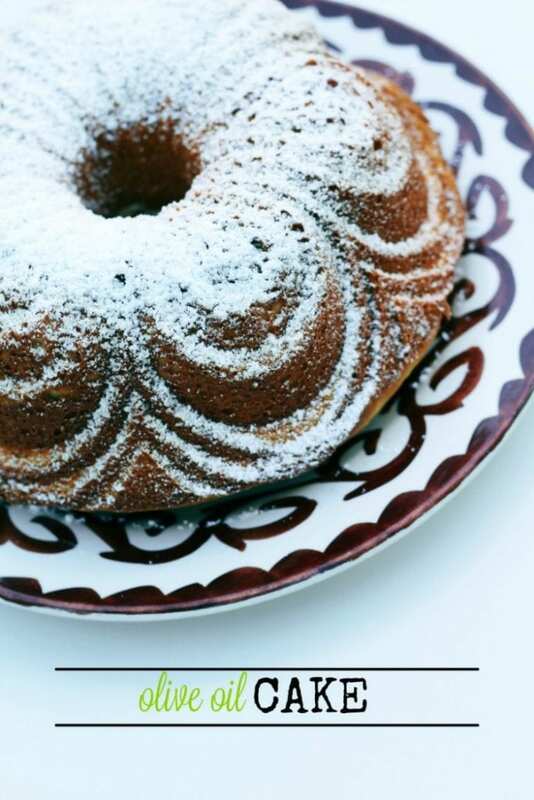 This Olive Oil cake is perfect for breakfast with your latte or for a special party. Position a rack in the center of the oven; preheat to 325 degrees . Grease and flour a 10- to 12-cup Bundt pan. until just combined. Add the milk and stir until just combined. the oven door slightly and leave the cake in the oven to cool.